I have a big soft spot for State of Decay, a game that came out of nowhere last year and left its mark as more than just a Grand Theft Auto clone with zombies. A year later, we’re getting yet another DLC, titled Lifeline. Lifeline, unlike Undead Labs’ first go at DLC with Breakdown, includes a completely new map that’s littered with zombies and new missions to take care of. In case you were disappointed with the lack of a totally new plot of land to lay chaos in Breakdown, Lifeline brings in a bit of freshness to what turned out to be more of the same thing under more dire restraints. The new map is very different from the original’s rural segmented towns. Traveling in Lifeline is made much easier. Since it’s set in a very urban environment, you’re able to hop into a car and take it to the freeway, which is a huge improvement taking into consideration the amount of driving you had to do back and forth in the original game. It’s a good thing that getting around is streamlined, because the missions in Lifeline are very challenging from the start. Your characters are part of the U.S Army and their mission is to rescue survivors and key personnel that might serve a purpose in finding the so called miracle cure for the zombie plague. The problem is, the zombies aren’t having none of it, and while you are out and about trying to handle quests, that range all the way from simple drops to rescues, much like the original game’s mission structure, your base is constantly getting attacked by hordes of ghouls. These attacks force you to then run back and protect your space, at the cost of your team’s life if you take too long to get there and handle the threat. Death is still permanent, so losing characters you’ve put time into leveling is as painful as ever. Having to hurry to your base’s rescue wouldn’t be a big issue if these attacks didn’t happen at so often. Another slight frustration that I’ve found rather annoying is the addition of danger zones throughout the map, which basically turn on the ‘feeding time’ sign for enemies to come and rush you if you happen to stumble upon then unsuspecting. And unsuspectingly run into one I did, fairly early on in Lifeline, while out mere meters outside my base. 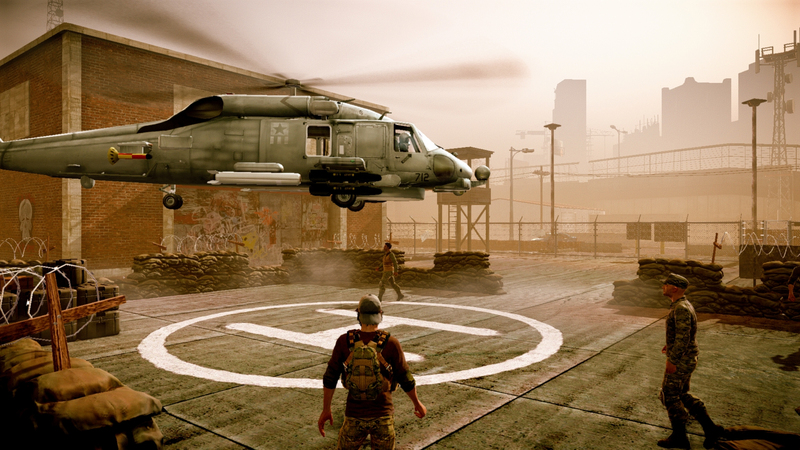 Still, it’s cool to jump back to State of Decay after being away for so long. Early problems and all, Lifeline looks to be a much bigger step into the right direction than Breakdown and it’s cool to see Undead Labs attempt to further develop what they started in the original game. If you’ve been playing State of Decay from the get go and you’ve loved it, Lifeline is a good chunk of fun to be had.